Stylish and storage-savvy, the Harmon Cocktail Table is a wonderful addition to your living space. Woodwork is crafted with a warm brown finish and features decorative paneling for visual depth and dimension. Two drawers provide convenient storage space for accessories while a lift-top table top makes entertaining easy. Lifted on short, tapered legs, the Harmon Cocktail Table is a lovely choice to outfit your living space. 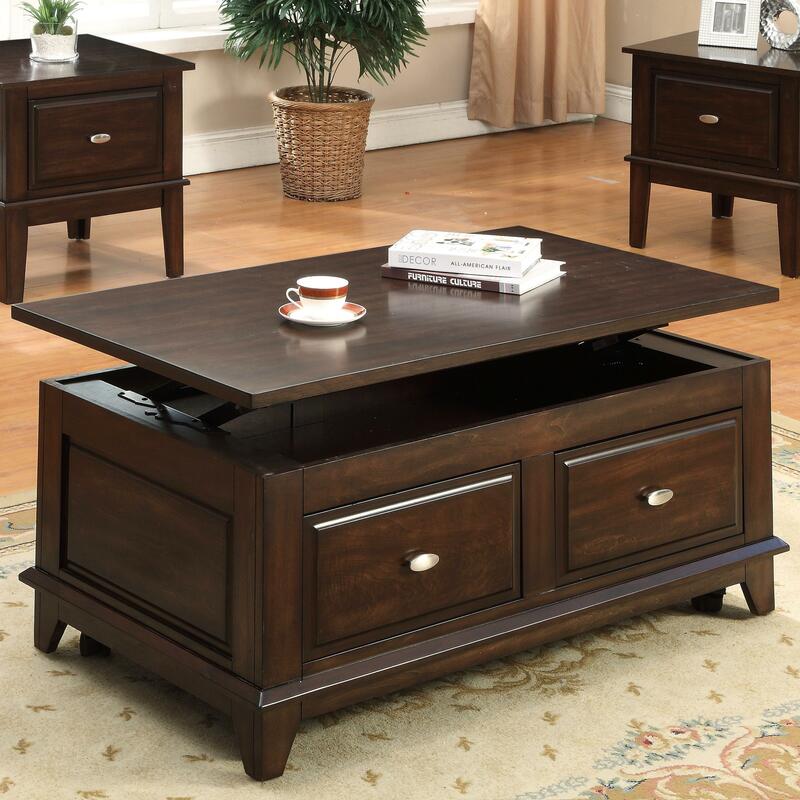 The Harmon Lift-Top Coffee Table with Casters by Crown Mark at Miskelly Furniture in the Jackson, Pearl, Madison, Ridgeland, Flowood Mississippi area. Product availability may vary. Contact us for the most current availability on this product.